Schneider Electric, the global specialist in energy management and automation, has signed a contract to provide comprehensive process automation systems, solutions and services to Dangote Oil Refinery Limited. Under the terms of the agreement, Schneider Electric will supply its EcoStruxure system architecture and platform, comprising its EcoStruxure Foxboro Distribution Control System, Triconex Process Safety Solutions, PIONIR Analytical Fuels Blending Systems and a suite of SimSci and Wonderware software solutions, including its unified supply Chain management and operations management software, to drive supply chain and operational efficiency, reliability and profitability improvements at Dangote's greenfield refinery. "While Nigeria is the world's eighth largest producer and exporter of crude oil, we still import nearly 80 per cent of our petroleum products," said Devakumar VG Edwin, Group Executive Director, Strategy, Capital Projects and Portfolio Development, Dangote Industries Ltd.
Dangote Oil Refinery Ltd., recognizing the need to safeguard their continuous operations, chose Schneider Electric's process safety solutions-which include emergency shutdown systems-to maximize the safety and efficiency of their operations and to improve the reliability of their equipment assets and asset sets. PIONIR process analyzers will improve process optimization, asset protection and compliance with environmental regulations, and advanced SimSci and Wonderware software will be implemented both to unify planning and scheduling and to improve real-time data collection and analysis, further optimizing operations and product blending. Schneider Electric has a longstanding reputation for delivering reliable, value-focused technology solutions. Their strong track record gives us confidence in their ability to help the Dangote Refinery achieves exceptional levels of real-time operational safety, efficiency, reliability and, of course, profitability. 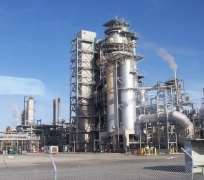 This will translate into more value for the refinery and more value for Nigeria's economy," said Edwin. As part of the agreement, Schneider Electric has created a task force between its Nigerian office and its engineering office in India, which has successfully implemented critical control and safety systems for some of the largest refineries in the world. This level of experience and expertise, coupled with Schneider Electric's commitment to providing local support, made the company Dangote's top choice. Schneider Electric will also provide design, engineering and installation services, not only ensuring a successful implementation from start to finish, but ensuring the workforce is equipped with the tools they need to positively impact business performance. "Today's industrial operations are facing two critical challenges: the increasing speed of business and the pace of technology changes, especially in the day of IIoT," said John Eva, senior vice president, global engineering, procurement and construction, Schneider Electric. "To help Dangote address these challenges, we deliver and implement value-focused technology solutions-innovation at every level-so they can move from managing their performance and business results to actually controlling them, in real time."